Do you remember that old ‘blessing’ – “May you live in interesting times?” Well, 2018 has been “interesting” indeed, but in a good way! In January we went to CANNEXUS – it really is an essential place to catch up with many of our colleagues, friends and clients, despite the winter weather that Ottawa can throw at you. So many people dropped by our booth, renewing acquaintances or introducing themselves, and from all parts of this great nation, that it was both an exhausting and exhilarating experience. Events such as CANNEXUS often provide the genesis of new ideas for ways we can better serve our clients and this one was no exception. We look forward to seeing everyone again at CANNEXUS 2019 this January. A good part of this year has been spent creating new online versions of Personality Dimensions® and we launched PD Basics (the lower literacy version of Personality Dimensions®) Online in the late spring. Immediately we swung into developing a PD for Youth Online assessment and report which is currently in the final stages of beta testing. PD for Youth Online material, along with the PD for Youth Foundations Facilitator Guide and PowerPoint, by Emil Boychuk, will be available early in 2019. Another new initiative that we are working on is creating a Personality Dimensions® “Ambassador” program. The first of these, under the Ambassadorship of Jane Harnadek, is the Conversations in Colour event scheduled for April 26, 2019. These short learning and networking events will set the standard for opportunities to learn more about specific applications from coast to coast – and beyond – once we figure out the intricacies of recording and broadcasting. We have also been working with the publisher of the COPSystem to provide online access to this incredibly powerful suite of tools, complete with Canadian NOC codes. This new system is now available and the initial response to it has been both very encouraging and exciting. Our 2019 catalogue, which is going to press as I write this, will feature new assessments and videos from JIST Career Solutions. Many of you will recognize them immediately for their very well-known and respected instruments such as the BESI, the RESI and the CEI and CEI-EZ to name but a few. As you may know, I am particularly keen on supporting good quality resources from Canadian sources and the materials from the Winnipeg Transition Centre are no exception. In fact, very shortly into 2019 we will be adding 3 new workbooks to our offerings. These are great, “where the rubber hits the road” workbooks that clients can work with independently or in groups to supplement or reinforce their work with career development professional. In addition to attending selected conferences, like CANNEXUS and Perspectives, CLSR is also committed to supporting opportunities for professional growth. To that end we work closely with several organizations to support their work, including the CDPCBO (Career Development Professionals Certification Board of Ontario) and we had the pleasure of once again attending their AGM/Professional Development event this past Fall. You know, when I sat down at this computer and stared at the blank screen I had no idea what I was going to write, now I’m lapsing dangerously into “putting the reader to sleep” territory so I’ll cut it short with this. Each of us at CLSR is proud to support local community initiatives so, in place of sending Holiday greeting cards we have made a contribution to the local Salvation Army for their work in our community. As well, our small staff of 5 people has collected over 150 pairs of socks to be distributed to homeless individuals in Aurora/Newmarket by Inn from the Cold as well as 40+ hats/scarves and mittens. It is important to us to be available to help others. Our wish for you at this Christmas time is that your heart and home will be richly blessed with love, joy and lasting happiness this joyful season and throughout 2019. 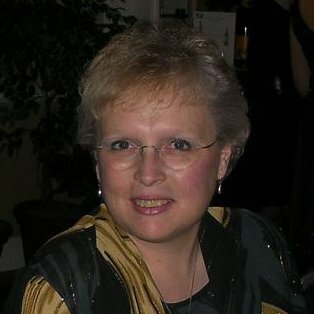 Denise Hughes is the Director and owner of CLSR Inc. and general editor of Personality Dimensions® materials and products. She just noticed the calendar and realized it is just past the 44th anniversary of her introduction to career and type and temperament materials. Those experiences and the expertise she gained through her years with the Guidance Centre, University of Toronto, and now with CLSR, continue to shape the direction that both Career/LifeSkills Resources and Personality Dimensions® take. Posted on December 21, 2018 by CLSRPosted in NewsTagged BESI, CANNEXUS, CEI, CEI-EZ, CERIC, CLSR, Conversations in Colour, COPSystem, JIST Career Solutions, ONESTEP, Personality Dimensions, RESI, Winnipeg Transition Centre.